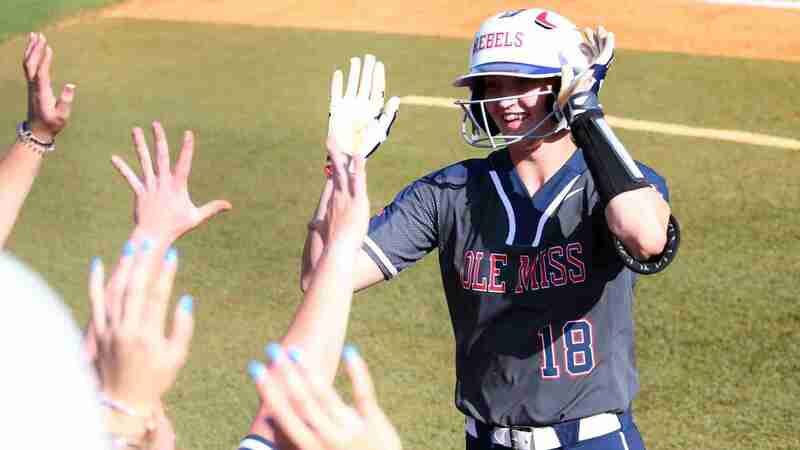 OXFORD, MS – The Ole Miss Rebels softball team will take the field Thursday evening to open their 2019 campaign under fifth-year head coach Mike Smith. 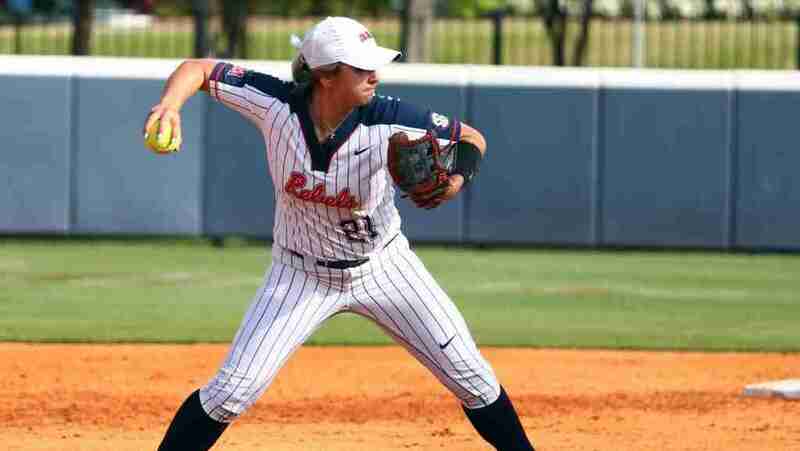 Coming off of a (32-25) mark and an NCAA Regionals appearance last season, the young Ole Miss squad will see its first pitch of the season in Orlando, Florida against the UCF Knights in the Friends of Jaclyn Tournament. “Well we’re going to find out where we are at pretty quickly,” Smith exclaimed. “When you’re facing two top-25 programs, high RPI teams, in week one, you’re going to find out where you are across the country,” he added. The Ole Miss team squad will play not only a solid UCF Knights team, but also the Ohio State Buckeyes twice, along with No. 21 Minnesota and George Mason. 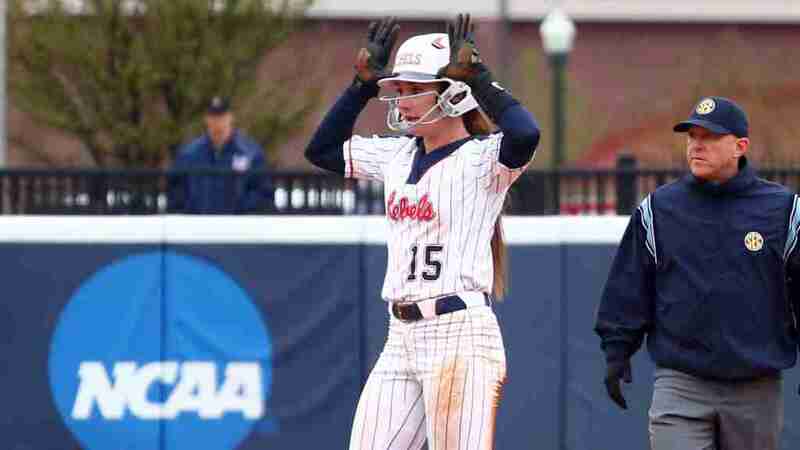 Here’s a season preview to get you ready to kick off the 2019 Ole Miss softball season. The Rebels head into this upcoming schedule with loads of confidence in the five ladies who will take the circle this upcoming season. With three returning arms joined by two newcomers, Coach Smith hopes to see all five ladies get action in this upcoming tournament as they will all find themselves called on throughout the season. Currently, the coaching staff has the senior Brittany Finney slotted in as the opening-game starter for the Rebels. Her junior season included a solid 13 appearances and a (3-2) record for the 2018 squad. She racked up a solid 33 strikeouts in 36 innings along with a 3.50 ERA. Behind her, two sophomores will also get their time to shine this upcoming weekend, including Ava Tillmann, who notched a (4-4) record this past year, and Anna Borgen who finished with a solid 2.75 ERA in 61.0 innings of work. In speaking with Tillmann, the second-year pitcher out of Georgia, prior to opening day, she noted how beneficial her freshman season was for her and how it will help her in 2019. “The pressure of the games last year, I think that won’t be much new to me this year, so I think that’s going to carry me a long way knowing that I’ve thrown in those big games and that I can get it on,” Tillmann said confidently. Two new faces will also be seen in the pitchers circle in junior transfer Molly Jacobsen and lone freshman pitcher Savannah Diederich. Speaking about Jacobsen, a Des Moines Area Community College transfer, Coach Smith noted she has been one of the most impressive new-faces thus far through spring practice and inter-squads. In fact, she looks to be slotted in at the two spot in the rotation for the Rebels in her first season in Oxford. Behind the plate Autumn Gillespie looks to follow up her 53 game appearances last year with another solid season at catcher. The junior out of California offered a glimpse into the ins and outs of the pitching staff. Providing depth behind Gillespie will be two Rebels: senior Izzy Werdann and sophomore Jessica Puk. Werdann, a JUCO transfer out of Mississippi Gulf Coast Community College, will finish up her career at Ole Miss this coming season, hoping to add on to her total 22 appearances last season. Second-year utility player Jessica Puk will most likely be seen at several positions on the field as the coaching staff really sees value in her ability to make an impact wherever she is lined up. In her freshman campaign, Put made 42 appearances, including 8 starts. Head coach Mike Smith likely is quite happy about the options he has around the dirt this season. With four new Rebels added into the mix of seven returners, the coaching staff has plenty of options when creating their lineup for each contest. Three sophomores, including Abbey Latham (7 HR in 69 at-bats, but injured late in 2018), Gabby Alvarez (limited action due to injury) and Sydney Gutierrez (JUCO transfer, .428 avg. and 11 HR) will all be prepared to line up at the first base corner this upcoming weekend. Senior Brittany Finney, who generally will be lining up in the circle for a good number of games, will offer her assistance on the first base line when needed. Another young group on the diamond will include the middle infielders: junior Kaylee Horton (22 scores, 9/10 steals), two sophomores in Jessica Puk (8 starts with 4 runs and 4 RBIs) and Ally Mena (.978 fielding percentage), and freshmen Mikayla Allee and Taylor Watford. The elder statesman of the bunch, Kaylee Horton, got a chance to speak to the media prior to the team’s first game of 2019. To round out the infield at the 3rd base position, two sophomores in Amanda Roth (6 HR and 20 RBIs) and Kacey Hvitved (JUCO Transfer, .418 avg, 31 RBIs) will help each other out throughout the season in improving upon each other’s stellar 2018 campaigns. In a similar fashion to the infield positions, Coach Smith and his staff will have plenty of options to fill the three positions in the outfield as they have added five newcomers along with 3 returning players. The Rebel outfielders for the 2019 season include senior Kylan Becker, juniors Kaylee Horton and Kelsha Loftin, sophomores Jessica Puk and Sydney Gutierrez, as well as freshmen Tate Whitley, Katelin Cooper, and Alyssa Pinto. Lone senior Kylan Becker will look to improve upon her already incredible junior year that featured a team-high .329 batting average coupled with a .407 on base percentage. The preseason All-SEC selection also is the first player in Ole Miss softball history to be selected to the United States National Team. When asked if she and her team enjoy being the underdog, as the Rebels are being picked 12th out of 13 SEC teams, Becker quickly replied emphatically. Behind Becker and Kaylee Horton is Kelsha Loftin, NJCAA Division II Player of the Year honoree. Loftin brings her championship experience with her to Oxford. 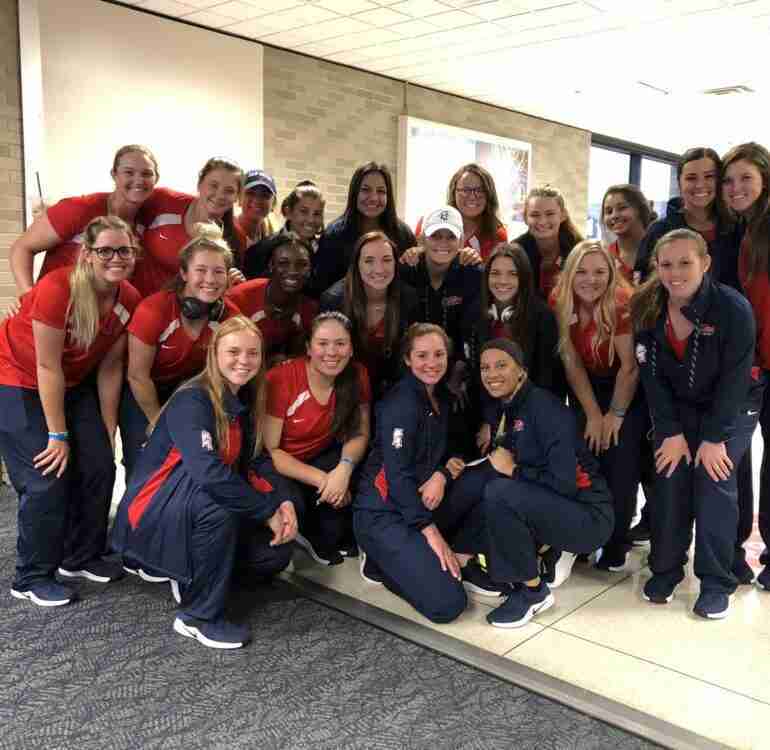 This season, the Ole Miss softball team is almost a 50-50 split between newcomers and veterans—but have no fear; this team has bonded well already. Autumn Gillespie cited team meals and karaoke excursions as bonding opportunities, and based on how the team looks on the field together, that seems to have been successful. The Rebels kick off the 2019 season Thursday evening against UCF at 5:30 p.m. (CT) and will then play Ohio State on Friday; Minnesota and George Mason on Saturday; and Ohio State once more on Sunday to finish the Rebels opening weekend off.